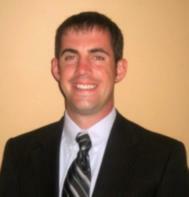 Bryan Flynn's Central Massachusetts Mortgage Blog: Current Rates are Great...should I lock? Current Rates are Great...should I lock? Rates have come off their lows from Monday and have improved every day this week. So what should we tell our clients going into this weekend, lock or float? We have retraced by more than 50% of the recent quick downturn, which for all technical junkies out there is a signal we might be running out of steam and should be safe and lock it in. On the other hand, we are sitting above a dual level of resistance at the 25 and 50 day moving averages currently and looking to close that way. If we have upward movement come Monday we could see more rate improvements. All in all this a tough call. I say we float if we are 45 day or later to close and lock'em otherwise. I would love to hear feedback and/or opinions from other professionals out there. Bryan welcome to our group. Thanks for the post. Glad to join. Thanks Richard. Rates are lower than they have been in 2.5 weeks. Although mortgages rates are not tied to the prime rate it seems like the day after the fed cuts the federal funds rate mortgage rates fall for about 4-5 hours. Their is a small window of opportunity. I went ahead and locked my loans today. I had a borrower who waited for 15 year rates to fall below 4.625 two weeks ago before he would commit. I strongly urged him to lock however he did not listen. He was listening to his co-workers. Long story short he did not get the rate. Lenders are changing guidelines pretty often so it would be on the safe side to lock. So you think rates will ease 30-40 days out? Jason mentioned rates easing after fed cut. Did the fed cut today? Fed is meeting again I think on the 18th. Be careful if you wait due to the underwriting guidelines changing. It will not be good if they change and you lose an approval. I locked just to be safe. The market is so volatile that it is a wait and see mode........I believe the advice I gave was sound, but that could change come Monday morning when the next economic indicator comes out, which is the ISM index, would could move the bond markets either way. We see a large number of buyers that are just waiting for rates to fall. Their friends and/or co-workers have convinced them that rates are sure to fall and they will not be swayed. It is funny considering that we were at 5.5% yesterday which is a great rate in anyone's world. Generally with a relock you have to decrease the rate by .25% in pricing, so if todays rate is 5.5, the new rate would have to be 5.25...and you could give the consumer 5.375, so you split the difference. I am very careful telling my borrowers about that because they always misunderstand this and if rates drop online for 30 day rate by .125 and i locked them in at 60 days on a purchase, they expect the better rate, when it is not possible to give it to them. Great discussion you got started here, Bryan. Right now the market is highly volatile and could go either direction at a moments notice. Jason had a great point that a guideline change could cause a lot of problems. Its certainly a good time to be cautious. Thanks for commenting Dan. Probably should be locking today though. with the away the market is moving yesterday and today. I have advised all my clients to lock. And i submitt them to a second bank so that they are always protected. It is not worth the risk. I just explain to them that if rates drop i contniue with the second bank. At least they have teh piece of mind that they will never be higher than the rate qouted but may go down. the beauty of being a broker. And Bran is right it is nto always easy to use teh floatdown.